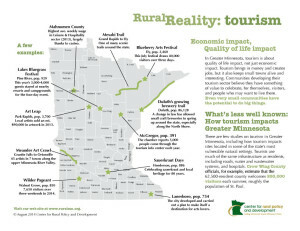 Tourism is a major industry in Minnesota. 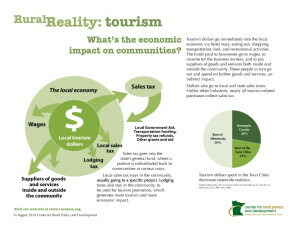 Our latest infographic explains its economic impact and how the tourism dollar travels through the economy. It also looks at the community development side of things. In Greater Minnesota, tourism is not just a money-making venture. It’s also a community event, as much for the year-round residents as for the visitors and as much for the community-building and fun of it as the money. We include just a few examples of events and attractions around Minnesota and the ways they affect their towns.